Enhance your experience of the Seeing the Word program with this supplementary collection of music and projectable illuminations, both on CD. 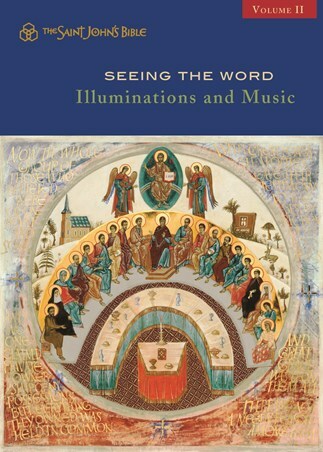 Seeing the Word: Illuminations and Music is a recommended resource for any individual or facilitator striving to amplify the visio divina process—the framework of Seeing the Word. The first CD contains ten illuminations from The Saint John’s Bible that have been specially formatted for projection, allowing viewers to study the breathtaking art more closely. The second CD, which is accompanied by a correlation chart, includes a beautiful selection of songs from Psallite (SAH-lee-tay), a liturgical music program inspired by the antiphons and psalms of the Roman Missal. Together, the large-scale imagery and memorable music create an effective tool for promoting deeper reflection on God’s word.